Only 2 Grand Touring Reserve models left in stock! Gross vehicle weight: 4;806 lbs. This vehicle has a 2.5 liter 4 Cylinder Engine high output engine. The high efficiency automatic transmission shifts smoothly and allows you to relax while driving. Conquer any rainy, snowy, or icy road conditions this winter with the all wheel drive system on this vehicle. Enjoy the tried and true gasoline engine in this small suv. It excites both driver and bystanders with a polished red exterior with racy lines. Anti-lock brakes will help you stop in an emergency. Icebox AC keeps the CX-5 cool all summer long. 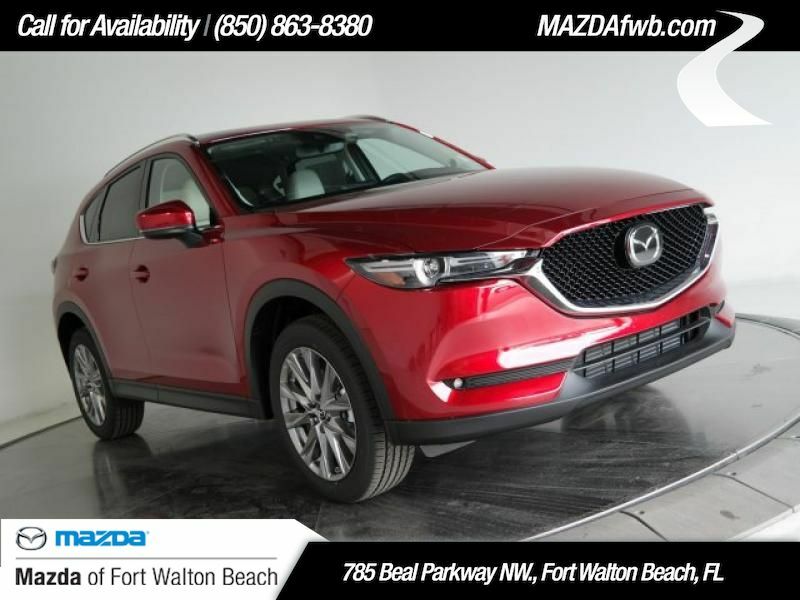 Light weight alloy wheels on this Mazda CX-5 are the perfect compliment to a stylish body. See what's behind you with the back up camera on this Mazda CX-5. 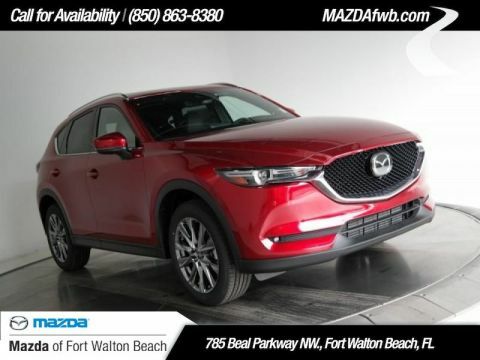 This Mazda CX-5 features a high end BOSE stereo system. Once you've sat in this unit with cooled seats on a hot summer day, you'll never know how you lived without it. 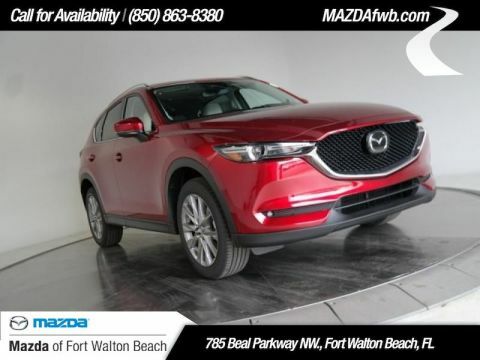 Easily set your speed in this Mazda CX-5 with a state of the art cruise control system. Increase or decrease velocity with the touch of a button. The custom bumper gives the CX-5 front end protection and rugged good looks. The Electronic Stability Control will keep you on your intended path. No repair kit necessary; the CX-5 includes a full-size spare tire. 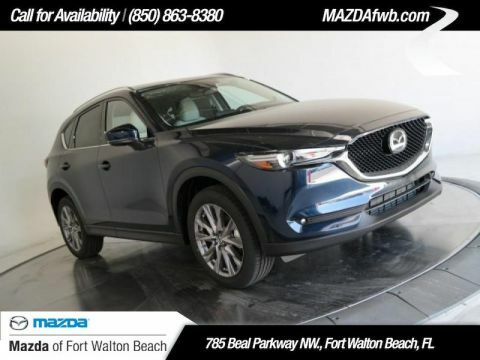 This 2019 Mazda CX-5 features a hands-free Bluetooth phone system. This vehicle is pure luxury with a heated steering wheel. It features a HomeLink System. With the keyless entry system on this vehicle you can pop the trunk without dropping your bags from the store. The leather seats are soft and supportive on this Mazda CX-5. With the adjustable lumbar support in this model your back will love you. The installed navigation system will keep you on the right path. Enjoy the convenience of the power liftgate on this unit. Power windows are a must have modern convenience. This model is accented with a stylish rear spoiler. This model has satellite radio capabilities. This small suv has an adjustable telescoping wheel that allows you to achieve a perfect fit for your driving comfort. Keep yourself cool in the summer with the premium quality tinted windows. The traction control system on the vehicle instantly senses tire slippage and executes minute power adjustments to maintain traction at all speeds. The CX-5 has a trip computer for clocking your road adventures. Pop a DVD into the video system in the vehicle and entertain your passengers on those long road trips this year. with XM/Sirus Satellite Radio you are no longer restricted by poor quality local radio stations while driving it. Anywhere on the planet, you will have hundreds of digital stations to choose from. - **Vehicle Options listed are when the unit was originally built. Please confirm the accuracy of the included equipment by calling the dealer prior to purchase.